Ebay and craigslist are littered with kit cars that are designed to look like some priceless classic, but every once in a while you find a gem that almost transcends the dismissive "kit" designation. Almost. 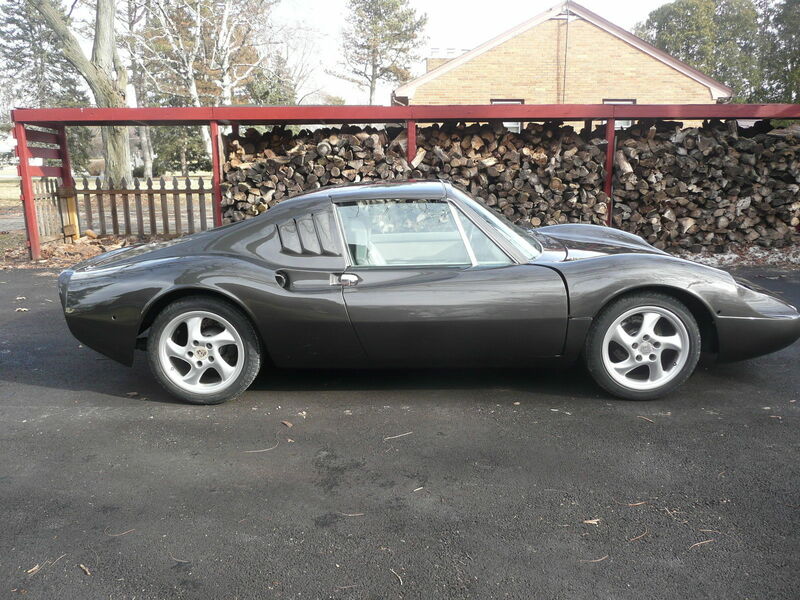 Find this 1973 Porsche 914 Eagle GT Kit here on eBay bidding for $14,100 reserve-not-met with 4 days to go, located in Aurora, IL. The selling point of the kit car has always been the same -- you want exotic looks & exotic performance, but without the exotic price tag. So, you take a cheap used whatever, slap on a swoopy fiberglass body and presto...driving nirvana. Except that vehicle engineering is far more complicated than you or I might want to admit, and those fancy super cars have super prices because everything has been engineered to a super standard. Some might even say...hyper. However, today's beast has been through a few transformations, but it started out as a simple Porsche 914. Sometime during the 1980s, a previous owner removed the Porsche body panels and fitted it with panels from something called an Eagle GT.that was designed/manufactured by Barry Goldstein in San Jose, CA. It was also given a Chevy V8 from Renegade Hybrids and it roamed the world confusing folks through 2007, when the current owner picked it up. 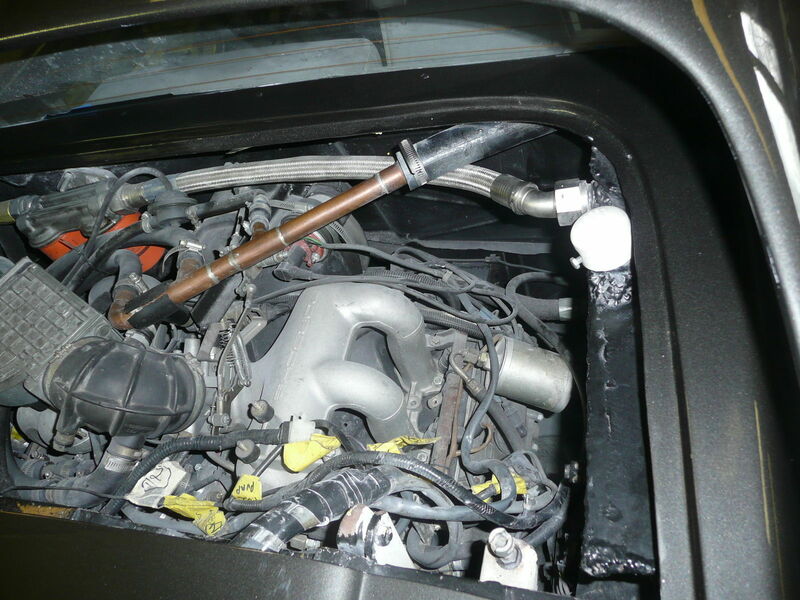 Since then it has been re-engineered, the water cooled V8 dumped for an aircooled flat-6 from a 1985 Carrera 3.2 mated to a type 915 transmission with LSD. If the suspension is setup correctly, it should be a hoot to drive. 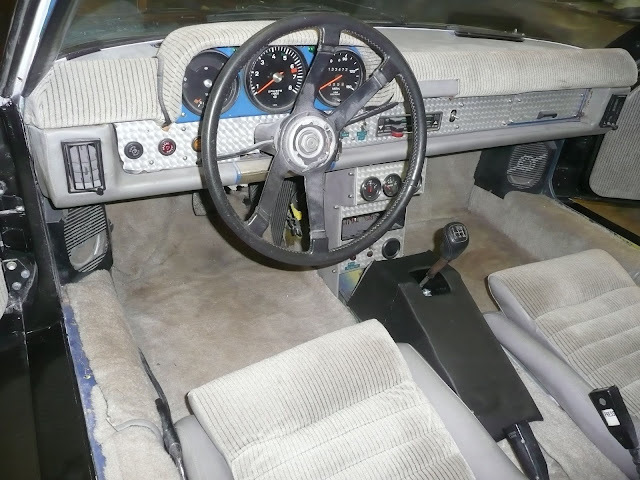 The interior is a form follows function setup with an 80s look to the upholstery...but with the right resources it wouldn't be too hard to spruce up a bit. The interior looks like it was put together with a hot glue gun! "Grandma can you knit me a dash pad for my Porsche 914 Eagle GT?" The eagle has landed, check that , it's a seagull painted to look like an eagle. Pile of poo. 3/4 view looks ok, but the side view...yikes. The 914 windshield is to upright to fit with the body lines....It's like Saab tried to make a Ferrari. I agree, but I'm betting it actually looks better in person than it does from these photographs. Quick take: it's almost a gorgeous shape, a lot of 904/Ferrari 246, shame it looks like they screwed up the windshield/roofline to accommodate a removable roof panel. And while it's a shame someone bent the roof at the windshield header to make it flat behind that point, I'd bet it's got 95th-percentile adult headroom, unlike the kiddie-car Lotuses that've shown up here lately. Wow, what a shame that Porsche didn't use this body for the original 914. This thing would seem to be just a few fixes from greatness. The ad says "no rear brake" but a more thorough reading clarifies (I think) that he means "no parking brake". Now with an all-Porsche drivetrain, and (for me) quite an attractive shape, it will all come down to where he set the reserve. If I had never seen a Dino, this might be attractive. But instead, I look at it, am reminded of a Dino, and see all the ways that it falls short. And so I experience it as significantly uglier than it might actually be. Fun driver, I'm sure, but more fun for less money is out there if you search.